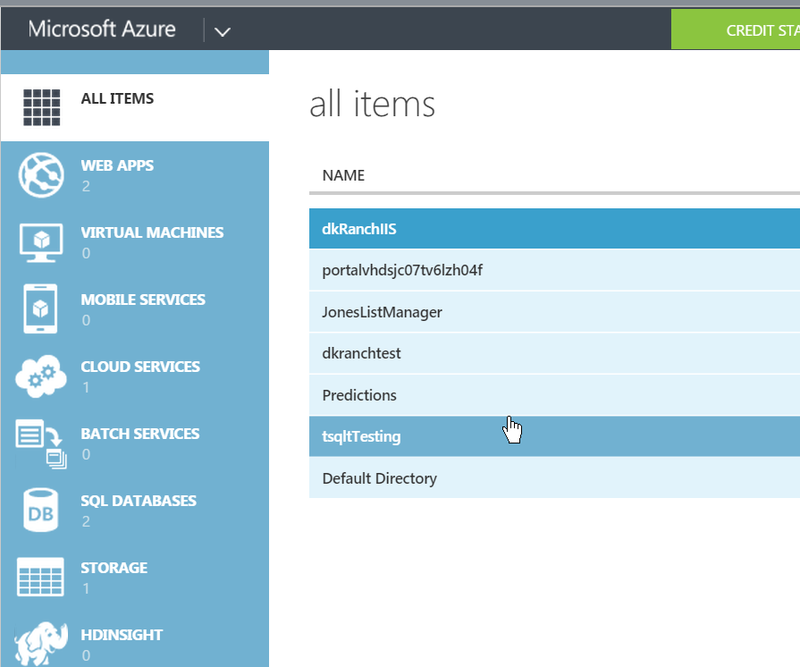 I worry about beta software, so when I wanted to create a new Azure database, I stuck with the old portal. Call me nervous, but the new portal worries me at times. It works, but since the default is the old one, I often use that one. 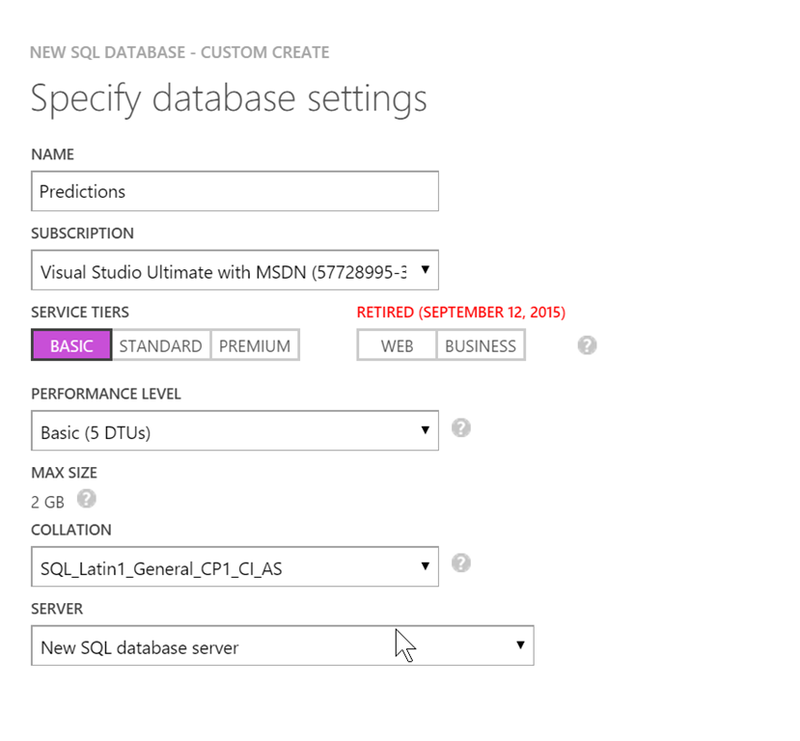 You can use either, but here I’ll show you how to create a database with the old (which will be gone someday) portal. It’s simple and easy, and this only takes a few minutes. Here’s the “old” portal. I wish it had a major version number, because that’s what it needs. I’ve got a few things running here. In the lower left corner is a “New” button, which I can pick. When I do, I choose Data Services and get this. 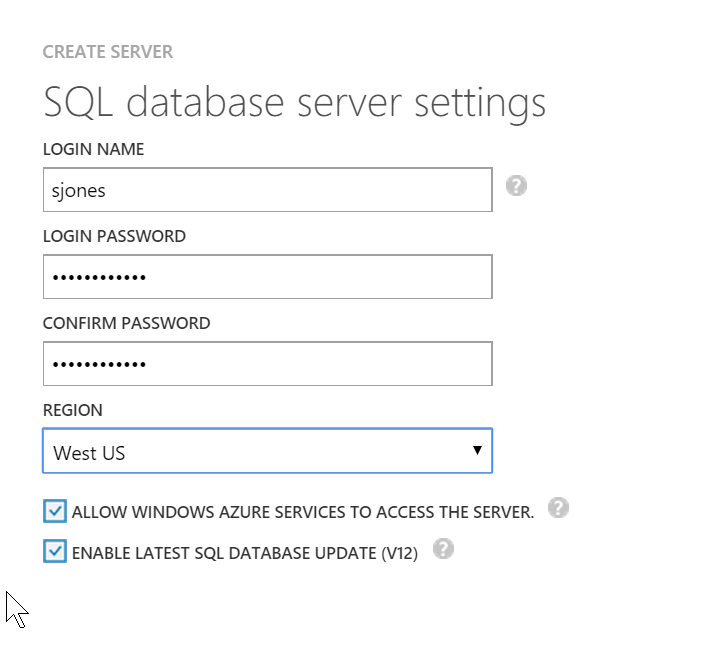 I select SQL Database and then click “Custom.” You could click quick create, but I wanted to show more options. There aren’t a lot, but you can put in a few. You get the settings page. The first thing you need is a database name. You can pick your subscription as well as the size of the system. Be aware of charges when you pick sizes. S0 is not cheap. I had an existing server, so I used that, but the system will create one for you if you need it. This is really the name you connect to, so if you care, create one first and then use it here. The next screen is really for the main admin account. Enter a decent password and save it. You can reset this form the portal once it’s up, so don’t be too concerned, but build good habits. Don’t use the same password everywhere and use a password manager so you pick strong ones. Once that’s done, create the database. It will take a little time, but you’ll see a moving “Creating” item in the status. There’s no percentage, but I think it was about 3-4 minutes for me one afternoon. Once it’s done, the database list will show you the database as online. If you go to the dashboard, you’ll see a number of items listed. Scrolling down, you might see the important item that you care about. How to connect. The server is listed, and if you’re using an app with ADO, PHP, OLEDB, etc, you can click the link and get the strings you will use. That’s it. Simple, easy, and ready for you to use. I was actually working on something in the new portal and wanted to go back to the old portal to see how things worked. As I waited for the main screen to refresh, I though, hey, write a post. So I captured screen shots. It took maybe 10-15 minutes to type this up. This entry was posted in Blog and tagged administration, Azure, SQLNewBlogger, syndicated. Bookmark the permalink. I love the “old” portal when comparing it to the new one. Nice article, I hope to do a few on Azure. I’m torn. I like different things about each portal. I’m experimenting a bit more and trying new things, so we’ll see how it goes.